Those Darn Squirrels Are Going to Invade THE PIT! I start with a new rotation tomorrow, and Those Darn Squirrels will be attacking THE PIT like the squirrels in Adam Rubin's book attack cranky Old Man Fookwire. Old Man Fookwire hates everything including pie and puppies. The one thing he loves is birds. When he hangs a bunch of feeders in his back yard, the squirrels begin to steal the food. Old Man Fookwire goes to great lengths to protect the feeders from the clever squirrels who can build a bed out of a bunch of leaves, a box kite out of twigs dirt and squirrel spit and are excellent at math. When Old Man Fookwire designs an elaborate Rube Goldbergesque system of protection, the squirrels make a plan. 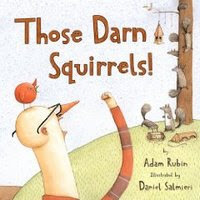 I love Daniel Salmieri's illustrations in this book, they are hilarious, but the one of the squirrels planning their attack is my favorite. They are gathered around a table with a drawing of their plan of attack, mugs of frothy beverages and salty vinegar chips. A couple of helmets on and it reminds me of dogs playing poker, if only it were drawn black velvet, the image would be complete! stolen with coins from their extensive collection of stuff. Then as a sign of friendship, they dress up like birds to give the old man something to paint. This book is going to be a lot of fun to read out loud as Old Man Fookwire's voice is ringing in my head already, I'm pretty good at being a grumpy old man. The pictures will make the kids laugh and, in the words of Old Man Fookwire, "Great googley-moogley, those darn squirrels are funny!" Thanksgiving is without a doubt, my favorite holiday. While I enjoy the decorating and festivities of Christmas, there's just something about the simpleness of Thanksgiving. I know a lot of people right now are probably disagreeing due to all of the food that needs to be prepared, a task that I participate in as well, but I maintain that it is the simplest of holidays which makes it the most enjoyable, at least, for me. For my family, 19 extended, it's a time for all of us to be together for a day, eating, napping, looking at the Day After Sale ads, watching football, playing cards and lots of laughing. I think I appreciate it more every year as I get older. I'm sharing two Thanksgiving books in THE PIT this week, the first is This is the Feast which I reviewed here. I wasn't sure how it would go over with the kids, but all ages seem to really be enjoying it's rhyme and especially the pictures, each one a work of art. The second is One is a Feast for Mouse, a fun book about having just enough. Mouse looks out of his "hidey-hole" and spies one luscious green pea left on the Thanksgiving table. With everyo ne sleeping, including the cat with the "greeny" eyes and "stripey" tail, Mouse takes advantage of the opportunity and heads out. On the way he spies cranberries, olives, carrots, gravy, mashed potatoes, pumpkin pie, (hungry yet?) and finally turkey. He piles it all up in his arms which has led all of the students to wonder "Wouldn't the pea on the bottom get smashed from all that weight?" and "How's he getting all of that back into his hidey-hole?" both excellent questions. In the end, he gets chased by the cat who wakes up and ends up with just what he started out for, one luscious green pea which is enough for mouse. Judy Cox has written a fun, warm hearted story that stresses the message to be thankful for whatever you have, and the kids get it! The illustrations by Jeffrey Ebbeler are entertaining and really show mouse's Thanksgiving adventure in a way that all of the kids enjoy. The kids all find new and different things each time I read it. I especially like the picture that forces the book to be turned so that the entire stack of food can be seen. So be thankful for the little things this Thanksgiving , and enjoy a good book while you're at it! Well, to be totally accurate, it is already Saturday, but since I'm still up on a Friday, I think it's still legitimate. 1) Several of my friends are at the NCTE convention this weekend. I've always had an excuse for why it just wouldn't work for me to go -- money, time, other commitments -- but, with a little nudge from a friend, I will be headed to next year's convention in Philadelphia. I hope everyone is having a fabulous weekend this year; I can't wait to be part of the fun next year!! 3) My class and 3 other 5th grade classes from our school participated in JA BizTown this week. It is set up by Junior Achievement, and basically, the students run businesses for an entire day. They take out loans, gather supplies for their business, sell goods or services, get 2 paychecks a day, make deposits at the bank, open up a savings account at the bank, pay their utilities for their businesses, and that's just to name a few! After my teammates and I did some reconstructing of lessons to make sure all our state indicators for economics would be covered, we ended up having a fabulous day. When we processed with the students after getting back to school, it was amazing at how much they had learned about a city's economy. What wonderful lessons to have for them, especially in these troubled times. 4) Our first trimester just ended, so I've been busily grading papers and filling out progress reports. I will be going into school for a couple of hours on Saturday to finish up, and then I'll have things completed. We're going for an early Thanksgiving dinner to my parents on Sunday; I will be totally relaxed and ready to have some of my father's oyster stuffing because my progress reports will be done, printed, and stuffed!! 5) And speaking of Thanksgiving, I'd just like to give a shout out of thanks to all of you who stop by to read what's on Bill and my minds when it comes to our teaching or children's books or even our Friday ramblings. We're not even a year old yet, but we're so grateful for the connections we've made with people because of our blog. Thanks so much for stopping in. We hope you'll continue to stop by! We hope you have a safe, relaxing, and wonderful Thanksgiving!!!!!! 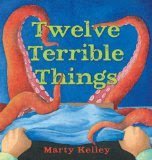 Twelve Terrible Things Makes Me Laugh Out Loud! I'm not sure words can do this book justice! I was literally LAUGHING OUT LOUD on my couch as I read this HILARIOUS book. It is by far the funniest thing I've seen this year. 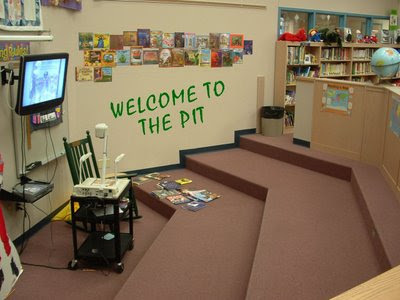 I can't wait to share it with the students in THE PIT! WOW THAT WAS A LOT OF UPPER CASE LETTERS! LAUGH OUT LOUD FUNNY!! Can you tell I enjoyed it? More reviews at A Patchwork of Books, The Well-Read Child, Provo City Library. The first novel from Elizabeth Atkinson caught my attention because of its colorful cover. What I read inside caught my attention too. Alice Bunt is a tom boy who moves from the city life of Boston, to the suburbs and a big fancy mansion of a house built on a cul de sac that use to have trees and other natural things, called Hemlock Trail. She has a cat named Yaz after her favorite Red Sox player, and a dog named Einstein, supposedly the smartest pug puppy ever. She would rather play soccer and not worry about her clothes as long as she's comfortable. Her dad stays at home while her mom works in the city as the vice president of a large publishing company. Zenithal Stevie Wonder Malinowski, Zen for short, is the boy who lives in the run down house just outside of the new development. He calls the street Alice lives on Hemlockless Trail since all of the trees have been removed. Zen would rather read fashion magazines, than dress stylishly or play any sport. Zen is the overweight outcast at school who lives with his grandma and decides he will give Alice advice on fashion, friendship, and walking so she will be popular at middle school. The two have a like/hate relationship that is interesting to read. 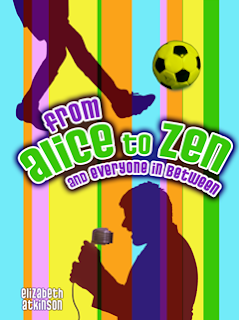 Zen keeps insisting that Alice follow his advice, and Alice keeps doing it, reluctantly. When school finally opens, Zen has created a middle school diva that quickly gets into the good graces of the popular crowd that Zen has selected, even though it is completely against everything Alice likes or believes. She struggles with the fact that the girls Zen has picked as her friends treat him horribly, and she doesn't do anything to stop them, for fear of losing them as "friends." The interesting thing is, Alice never feels like they are friends and wishes she could make friends with the shy girl, Rebecca, who seems more like her. After a falling out with the beautiful people, Zen's hidden musical talents are revealed when Alice and Rebecca attend his new age church and hears him sing a solo. The girls are moved to talk him into singing in the school talent show with the hope that it will improve his standing in the school. Although he doesn't want to, Zen performs, and true to middle school form, finishes second to the popular kids even though everyone admits he is way more talented. In the end, it does help him gain a certain level of acceptance at the school, but, partly by choice, Zen will always be a bit on the outside looking in. I like this book even though it was one that I considered abandoning several times. I was compelled to keep reading to find out what was going to happen. I have to admit, Elizabeth Atkinson has created Zen in such a way that at times I felt awkward reading about him. He was that kid that is laughed about and felt sorry for at the same time. In the end, I liked him a lot. His willingness to be different and not care so much what others thought impressed me enough that I couldn't give up on him. I liked that Atkinson didn't let him give in and conform to the middle school pressure. Zen continued to express himself in his own unique way to the end. I'll be recommending this one to fifth graders getting ready to fight their own battles to find their place in middle school. The first Grand Discussion of the year was held on Thursday night and what a night it was! We had 42 students and parents come in to discuss Barbara Kerley's book Greetings From Planet Earth. The book is from 2007 and I kind of forgot how much I liked it. When we began kicking around titles for the year, none of the new stuff really struck me as being good for this event, so in looking through my reading journal I pulled this one out. Lots of questions is one of the themes in the book so it really worked well for our group. The initial reaction to the book was "Why did you pick this one!?" My response was always, "Keep reading." The final reaction upon finishing the book was always, "Ohhhhhhh, I get it, good choice." We enjoyed a lively conversation. I was very impressed with the exchange of ideas between kids and adults. Sometimes, we big people think our ideas are WAAAAY better than our kids and we just need to be quiet and listen. That was the atmosphere at Thursday's discussion. As you can see in the picture, everyone is engaged, that's my discussion partner Joyce in the white vest. One of the young men at this table came up with the interesting theory that everything in the story revolved around the eating of french fries! He was able to tie everything that happened to Theo and the discovery of his father back to that event in the book. When I listened and thought about what he was saying, I was amazed at how right he was! See, just be quiet and listen, these kids are smart! All in all, it was a "grand" evening spent with awesome kids, fantastic parents, yummy chocolate chips baked on parchment paper, and intelligent conversation about a wonderful book. Here's the group with a salute to Barbara Kerley for her fabulous book! What a historic week this has been! A new president-elect, gas prices below $2.00, and a young man from Dublin (Brady Quinn) had his first start as quarterback for my Cleveland Browns (Brady did well, the Browns defense did not). 1) Tonight we had a doctor come to our house. No, that is not a typo; a doctor actually came to our house. My father-in-law, who has been living with us since a surgery in September, just had a chest x-ray yesterday. It showed some fluid in 2 areas of his lungs. At his age, that was enough to concern the doctor and he came to our house to check on Dad as soon as he got the results. Is that not amazing?!! 2) Last year, in my CST (curricular support teacher) role, I really tried to help other teachers with their instruction in their literacy workshops. This year, now that I am back in the classroom full time, I'm not doing as much professional development for others as I have the last 2 years; there just doesn't seem to be the time. So, it was kind of refreshing to be asked to present at our school's teacher workday this week. My topic -- clarifying the components of the Dublin literacy workshop model. I will then be doing a follow-up session next Thursday at a 2 hour late arrival professional development meeting. Facilitating these sessions has been a good way to stretch myself professionally. 3) The end of our elementary trimester is over a week from today. That means that progress reports are coming right after that. I have a lot of grading and organizing to do before then!! It's no wonder that I can't seem to find the time to sit down, read a book, and then blog about it. It feels like forever since I reviewed a book. I have 2 huge stacks patiently waiting to be read, and no time to read or write!! :( Maybe I'll be better after progress reports are done. 4) Mother Reader has proposed a new challenge: "The Comment Challenge: 21 Days to Community". The basic premise is that we each will read and comment on at least 5 blogs per day. I know how much I love reading the comments people leave for Bill and me. 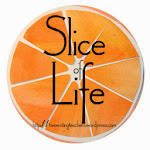 It seems like a great way to build community with other bloggers!! I'm definitely going to try to live up to the challenge. That's all for now. Hope you have a great weekend! Kirby Larson wrote one of my favorite Newbery Honor books, Hattie Big Sky. When I saw that she had a non-fiction picture book out, I had to read it. I wasn't disappointed. A dog and a cat, both with no tails, were left behind when their owners had to evacuate. The two stuck together through the floods of contaminated water, lack of food, vicious dogs, and a number of other scary situations. When they were finally rescued by a construction worker named Rich, Bobbi was still protective of Bob Cat, not allowing anyone near her. Eventually Rich takes the two friends to a temporary shelter set up by Best Friends Animal Society, an appropriate name considering these two survivors. However, both animals are nervous when separated. Bob Cat paces in her pen, and Bobbi howled all night, keeping the rest of the animals and human workers awake all night. The two are reunited and everything settles down. To add to the amazing part of the two, it is discovered that Bob Cat is blind and Bobbi had served as her "guide dog" through their entire ordeal. The animals are featured on the Anderson Cooper 360 show and hundreds volunteered to adopt them, but only one made the long journey to meet them face to...uh muzzle. An immediate bond was formed and the Bobbies have a new home. It's a touching story that will elicit lots of ooohs and aaahs when read out loud. The illustrations by Jean Cassels make the two heroes come alive and compliment the story by Kirby Larson and partner Mary Nethery. Cool video trailer of the book.